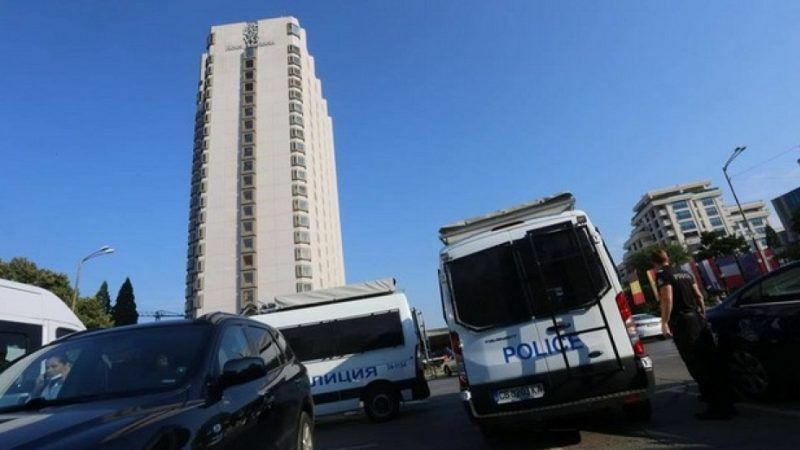 Police uncovered on Friday (31 August) over 10 million leva (€5 million) in cash from hotels owned by a rich businessman in Sofia and in Bulgaria’s second largest city, Plovdiv. A prosecutor reportedly said he had never seen anything of the kind in his whole career. The first of the buildings searched was Marinela, the flagship hotel of the Bulgarian Presidency of the Council of the EU. Its owner is Vetko Arabadjiev (born Valcho Arabadjiev), a rich businessman and owner of a touristic empire with more than 15,000 beds, known as the Victoria Group. Marinela has shocked many of its EU guests by the presence of scarcely dressed young women. A Bulgarian website has reported that the wife of an EU official was so disturbed by the sight of these women in Sofia that the couple were transferred to the more upmarket Hilton Hotel. Vetko Arabadjiev and his wife are reportedly in France and European arrest warrants have been issued. The family possess a villa in Saint Tropez and a luxury yacht. Ivan Gueshev, deputy chief prosecutor, said that throughout his whole career he had never seen so much cash coming out of shoe boxes and suitcases. “To my knowledge, there has been nothing similar in the recent history of Bulgaria”, he said, adding that the investigators requested the Central Bank to provide banknote-counting machines, because in his words the manual count would take days. “You cannot forbid anyone to be rich, but when you buy cars, aeroplanes and hotels, you should pay your taxes”, the prosecutor said. Arabadjiev has a collection of luxury cars, including a Rolls-Royce, a Maybach and a Maclaren. He also reportedly owns two aeroplanes which he uses to lift his guests to Saint Tropez. In 2016 he invited 400 guests for his birthday party in Saint Tropez, including many models and female “folk singers”, widely perceived as expensive prostitutes. According to investigators quoted by the website Blitz, the business empire of Arabadjiev has evaded VAT in huge amounts using four different schemes. One of the anecdotes around Arabadjiev is that his Rolls-Royce was stolen in Saint Tropez, and then found three years later in Bulgaria. According to rumours the car was stolen by the Albanian mafia and returned after a substantial ransom was paid. “Marinela has shocked many of its EU guests by the presence of scarcely dressed young women” – probably British holiday makers out on the razzle.